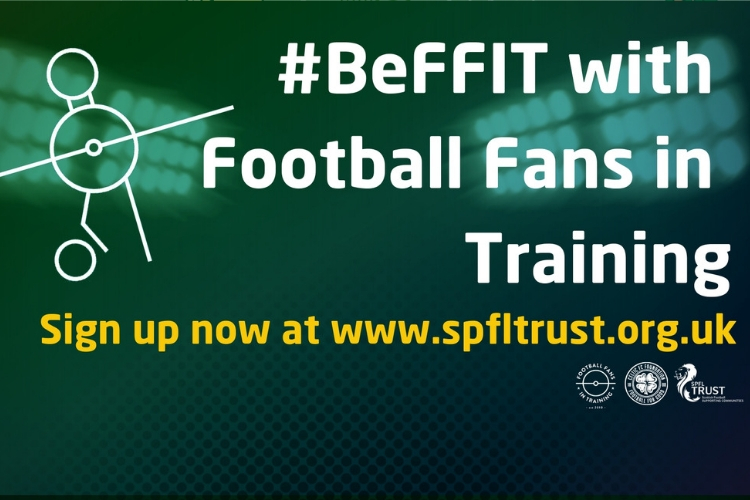 FOOTBALL Fans in Training (FFIT) is a 12-week programme delivered here at Celtic Park in collaboration with the Scottish Professional Football League Trust and Celtic FC Foundation. The aim of FFIT is to encourage male and female supporters, 35 to 65-years-old with a waist measurement about 38 inches, to make significant changes to their risk of ill-health by losing weight, becoming more active and eating a healthier diet. Participants are targeted to achieve 5% to 10% reduction in body weight while improving fitness levels. Our experienced community coaches have been expertly trained to deliver this specific programme and they encourage participants to stay active and healthy while also having a positive effect on the healthy living choices of participants’ wider family and friends. Each session lasts for approximately two hours and comprises of a one-hour interactive workshop, hosted in our learning centre, to discuss lifestyle, diet and nutrition. This is then followed by one hour of physical activity, such as circuits, along with developing fitness components such as endurance and strength. This programme is fully tailored to individual client needs and requirements.